Mother’s Day is coming up quick, and breakfast in bed is always a treat. We’ve created this fun printable banner to greet her in the morning. It reads: “rise and shine, sweet Mother of mine”. 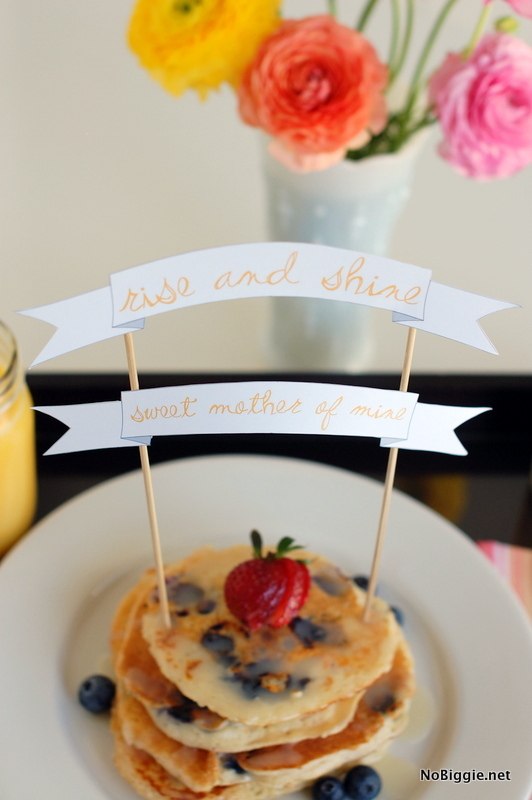 Just print out the banner, cut it out and tape it to two wooden skewers to poke into her special breakfast in bed. To show this printable in action, we made pancakes, only they’re no ordinary pancakes, they’re the best pancakes we’ve ever had! Blueberry buttermilk pancakes with homemade buttermilk syrup. Oh man, where have these been all my life?! 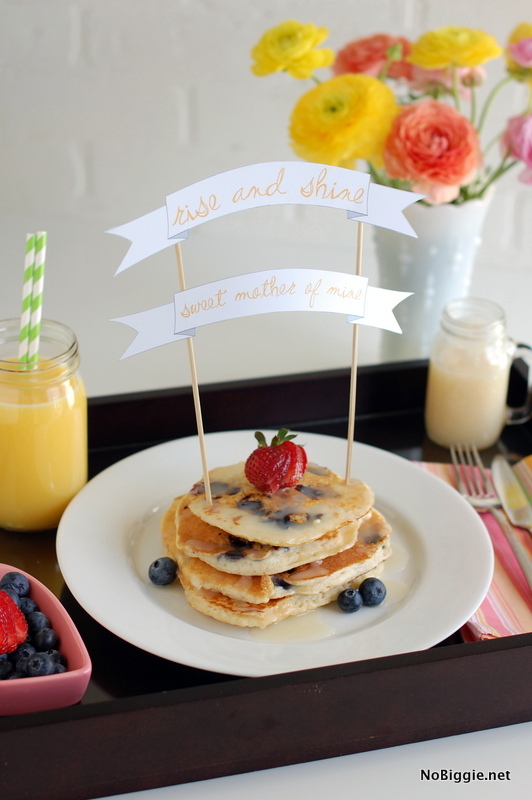 Before we dive into these blueberry buttermilk pancakes, here’s another look at the pretty printable banner to stick into the pancakes (or whatever you’re family will be serving you – wink/wink). 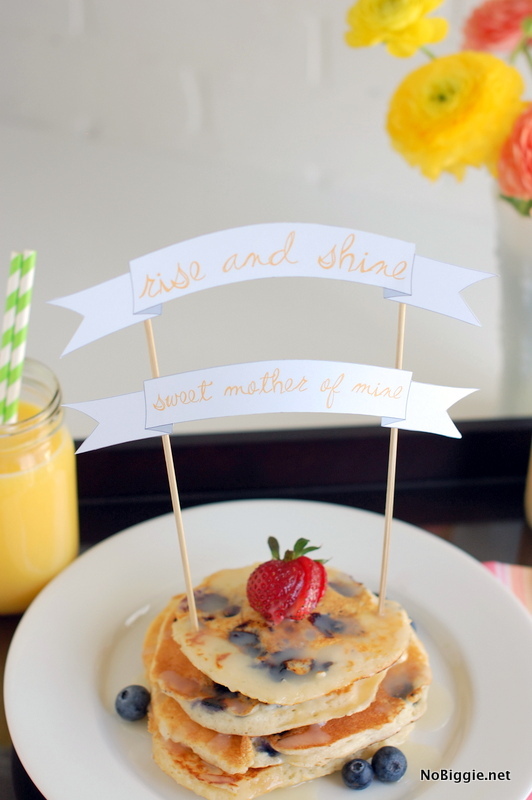 Click here for the Mother’s Day breakfast in bed printable. *Please note printables shared here are for personal use only and are for NoBiggie email subscribers. I hope you all have a wonderful Mother’s Day weekend, celebrating your special moms!